Can new government policies end homelessness? Although homelessness has fallen almost continuously since 2007, about 1.5 million Americans use a shelter in a given year — and advocates for the homeless say that figure badly understates the problem. Unemployment, cuts in funding for mental health care and the psychological effects of war on veterans all have helped fuel the homeless crisis. 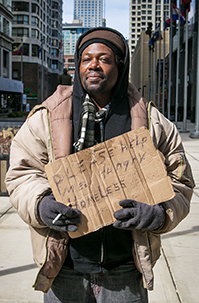 The Obama administration vows to end homelessness among veterans and individuals by the end of 2015 and to eliminate it among families by 2020. But experts are divided on whether “rapid rehousing” programs that provide short-term rental aid will keep individuals and families from becoming homeless again. Meanwhile, many cities are trying to banish the homeless from their downtowns by enacting anti-vagrancy laws — an approach opposed by those who say living on the street should not be treated as a crime.